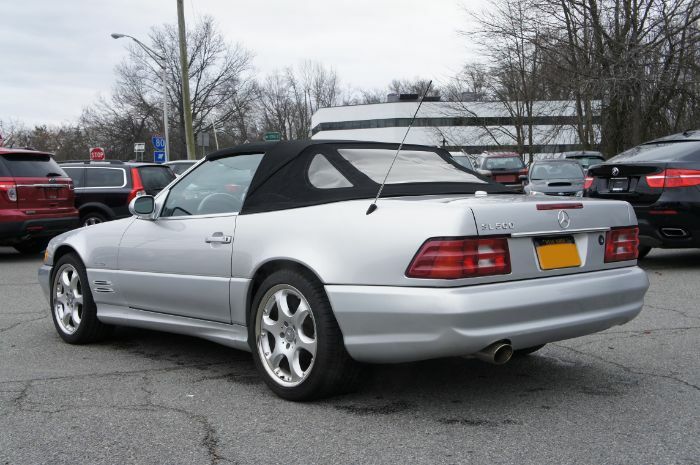 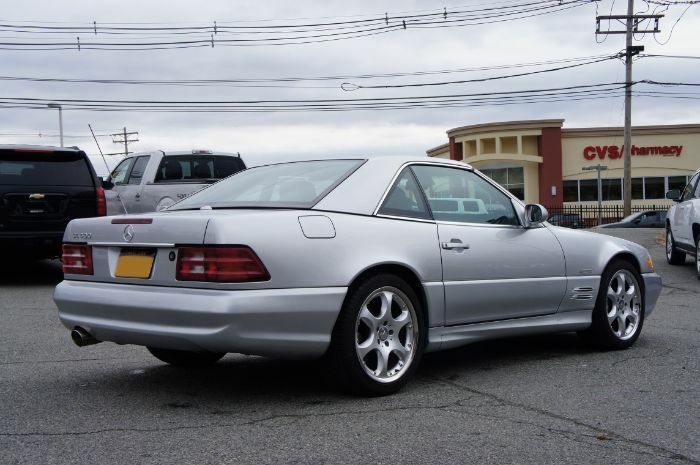 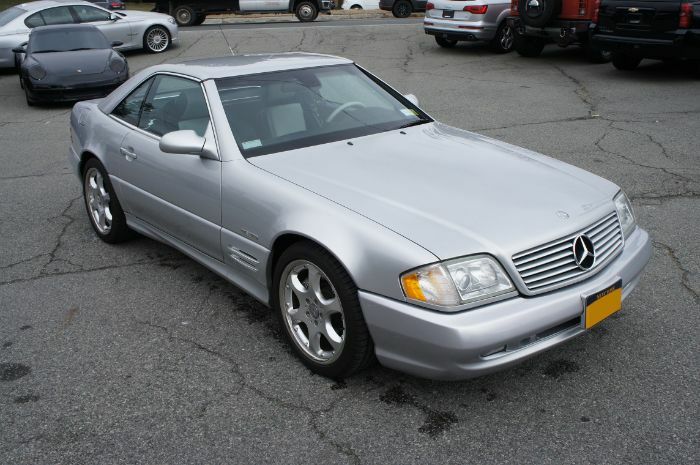 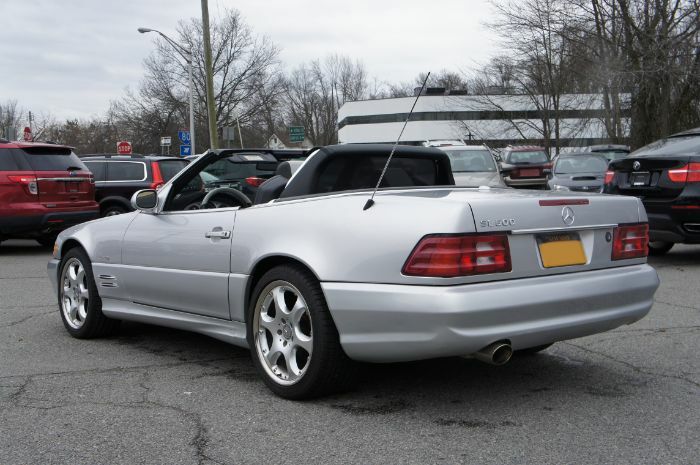 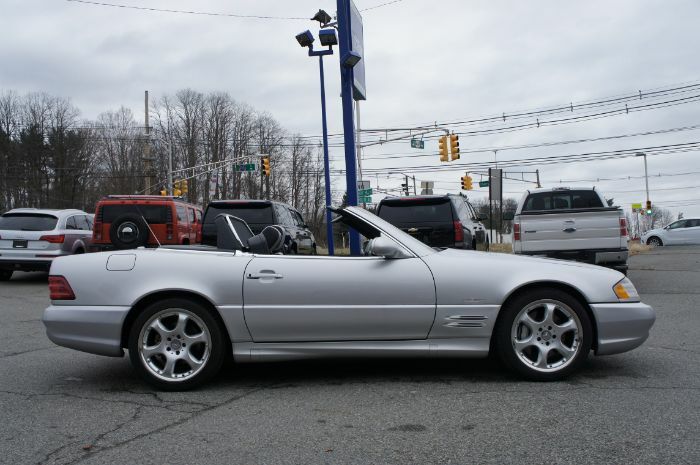 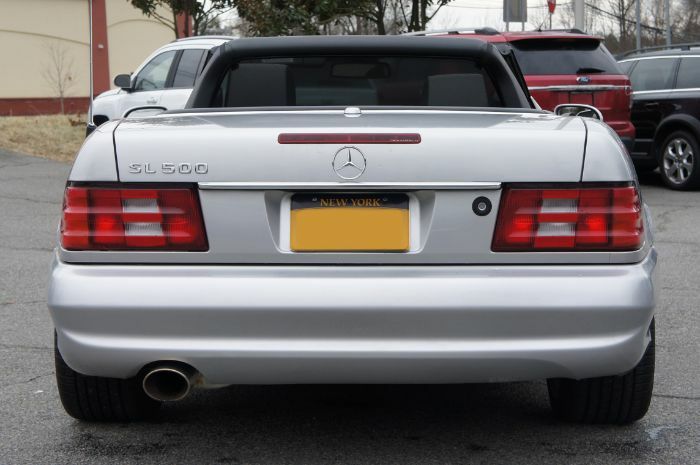 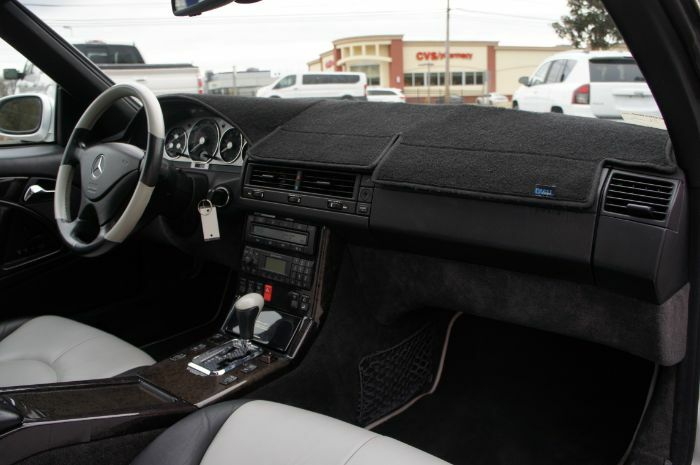 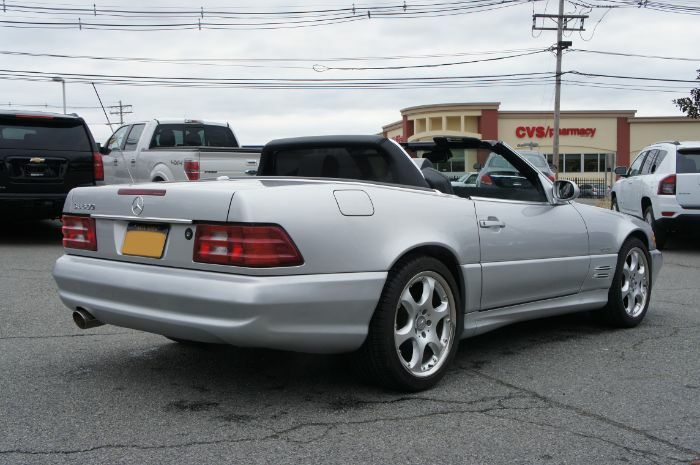 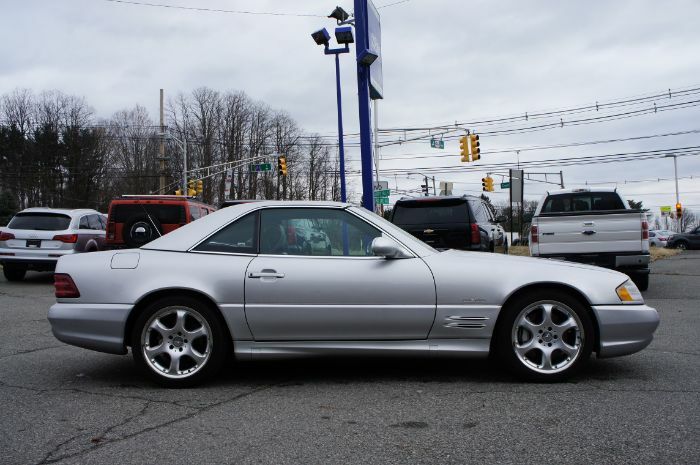 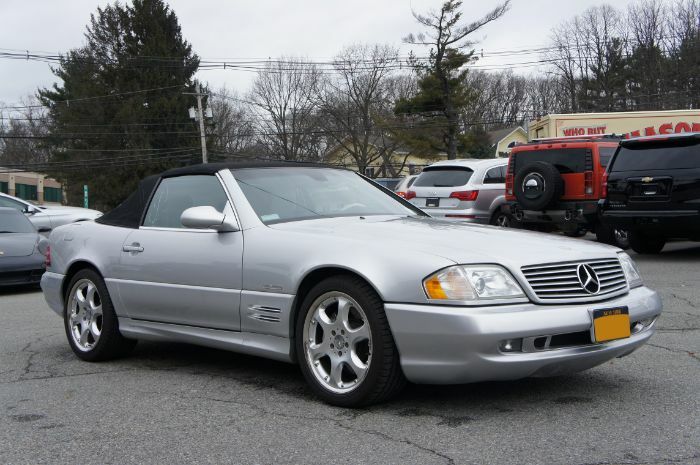 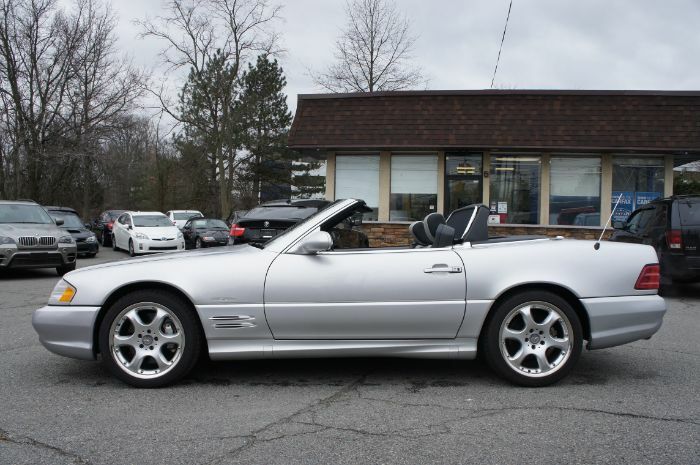 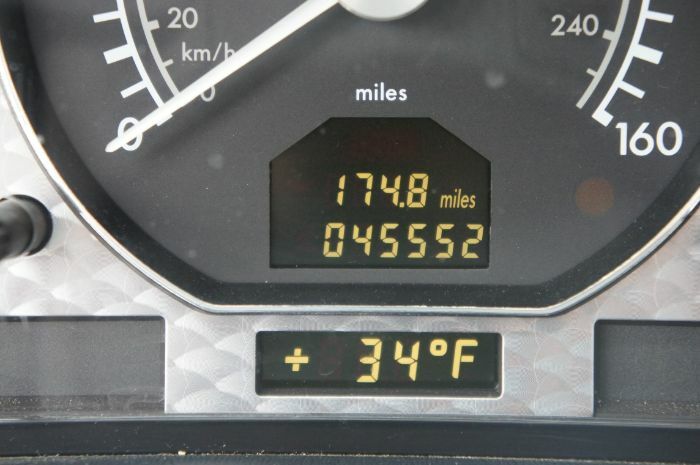 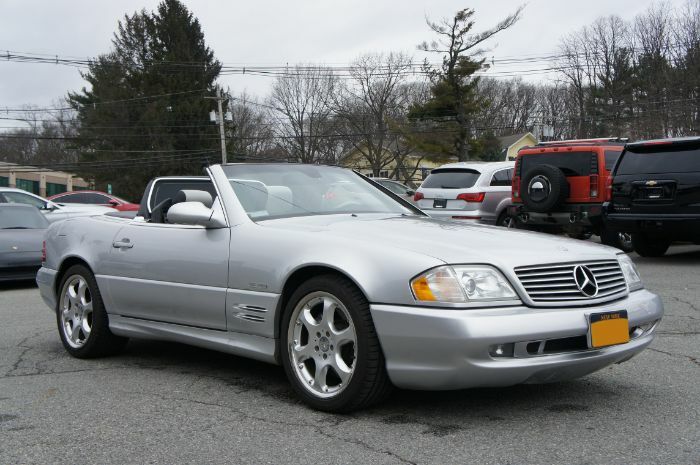 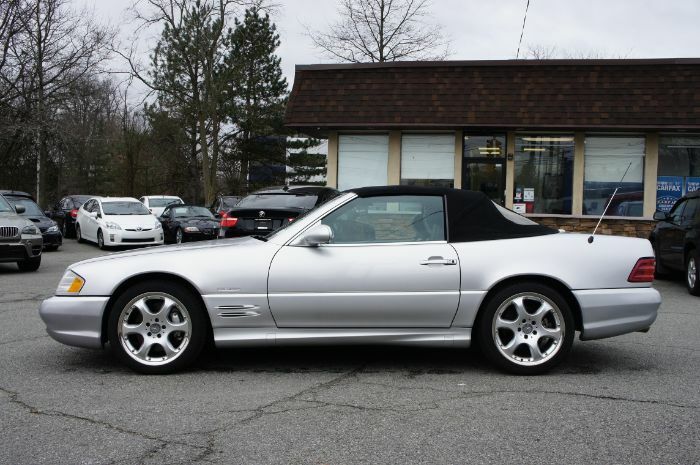 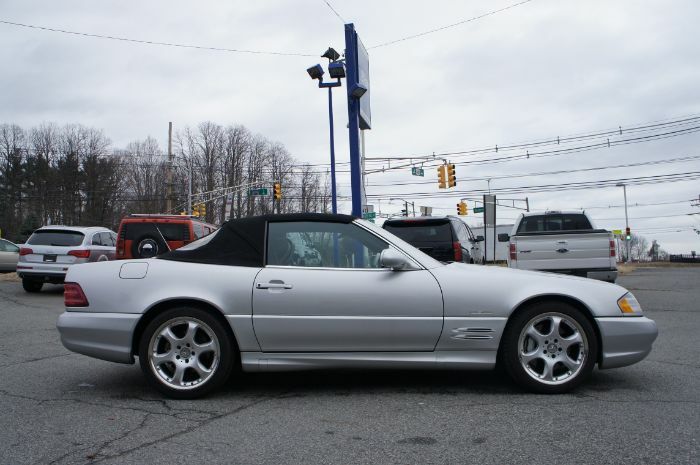 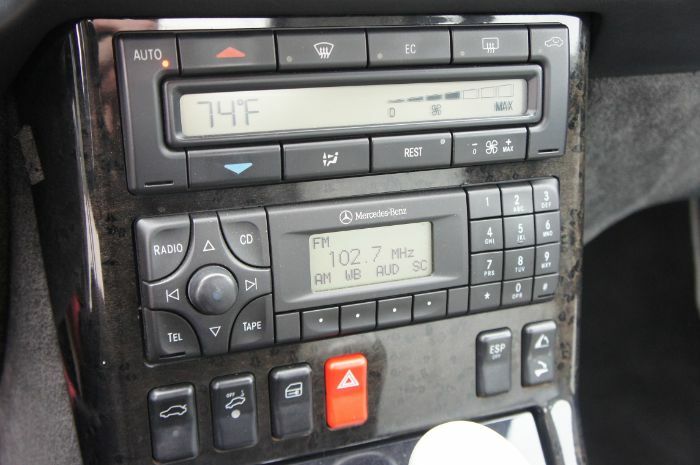 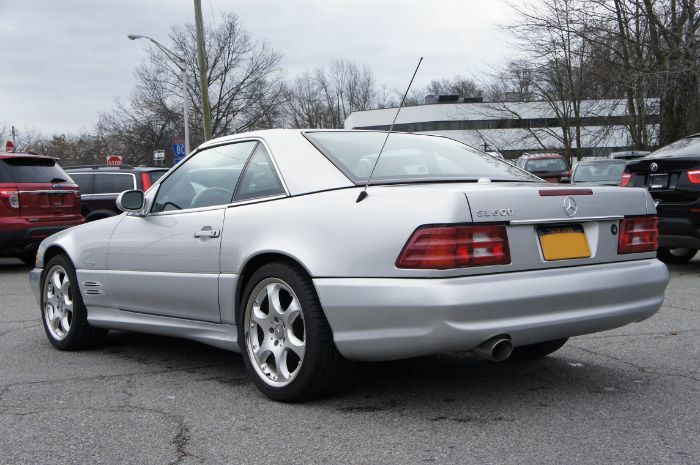 ONLY 1400 MADE -02 Mercedes SL500 Silver Arrow Edition ONLY 45k Miles Roadster Convertible Pristine! 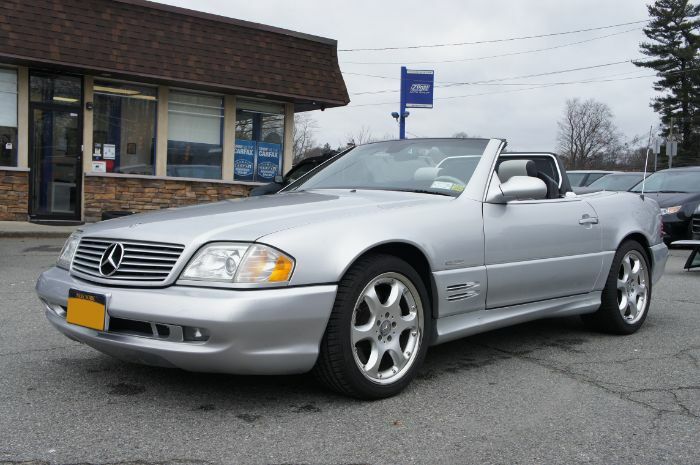 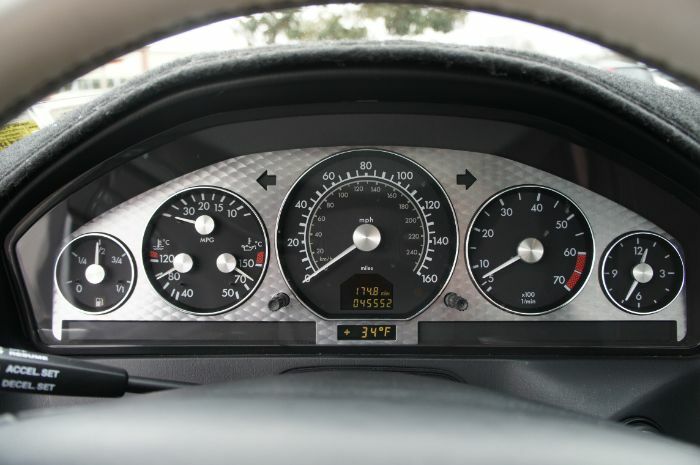 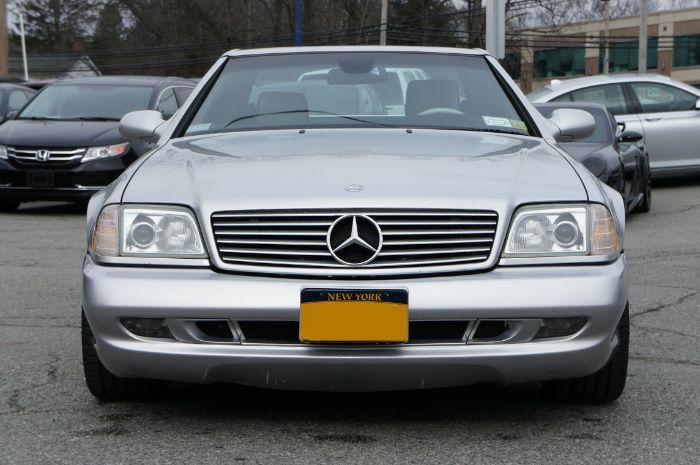 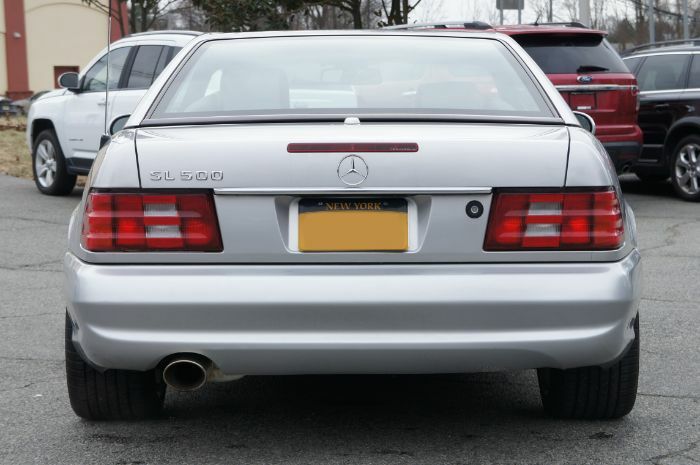 This 2002 Mercedes-Benz SL500 is a Silver Arrow model with 45k miles which is powered by a 5.0-liter V8 backed by a 5-speed automatic. 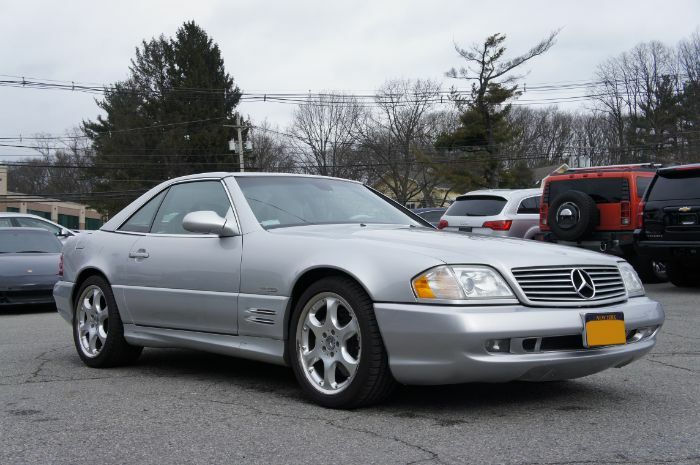 The Silver Arrow was a limited edition built only for 2002, the final year of R129 production, with a total of 1,450 V8-powered cars produced for the US market. 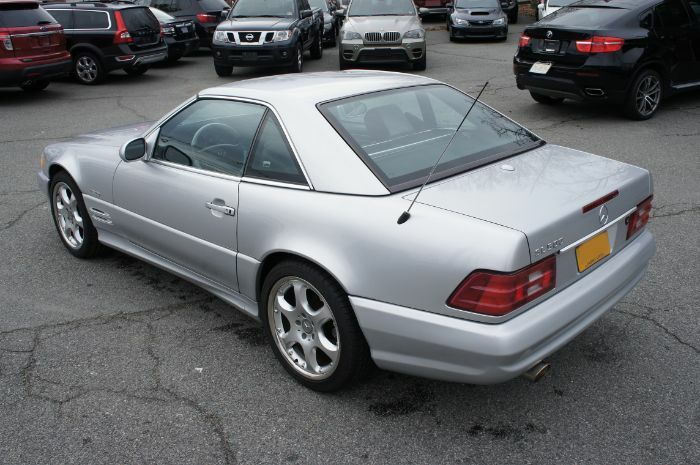 Described as unmodified and in good condition, it is sold with its factory hardtop. 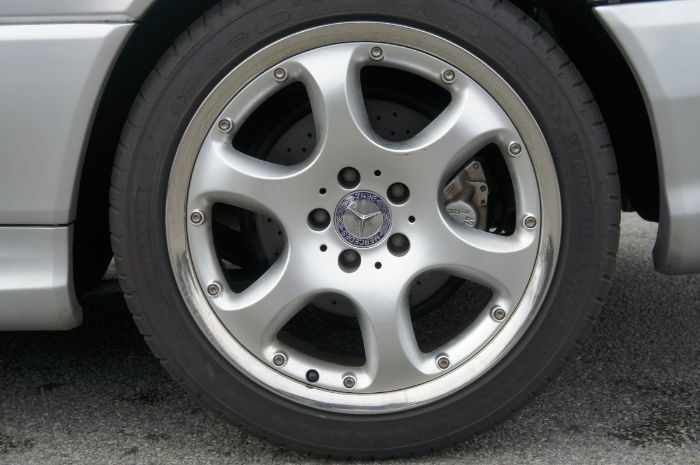 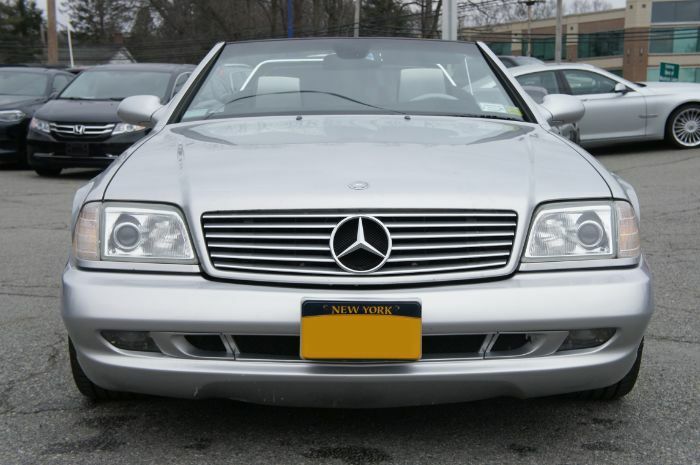 Silver Arrows came with aluminum front grilles and trim pieces as well as 18″ 6-spoke wheels. 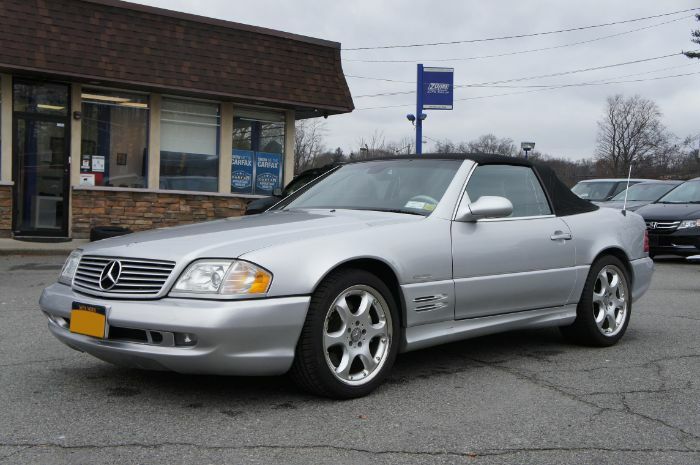 Silver paint benefits from garage storage and fair-weather use during the seller’s ownership. 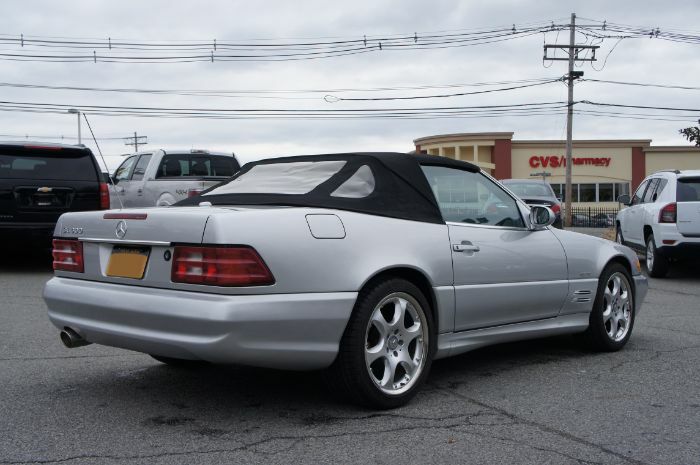 A color-matched factory hardtop is also included and pictured below along with a removable chrome-rimmed wind diffuser. 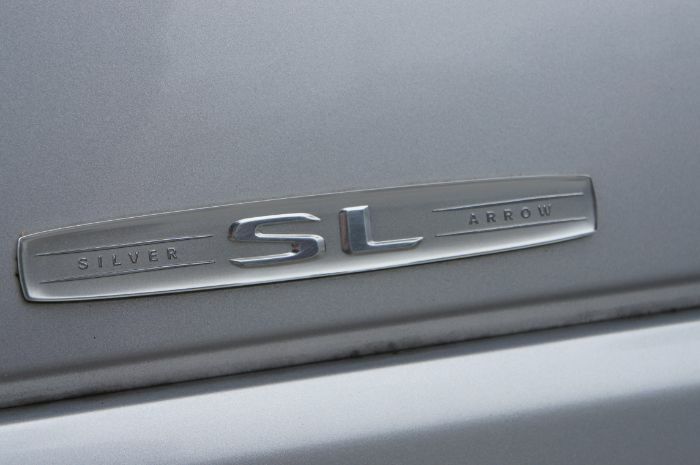 Bi-xenon headlights were standard on Silver Arrow models. 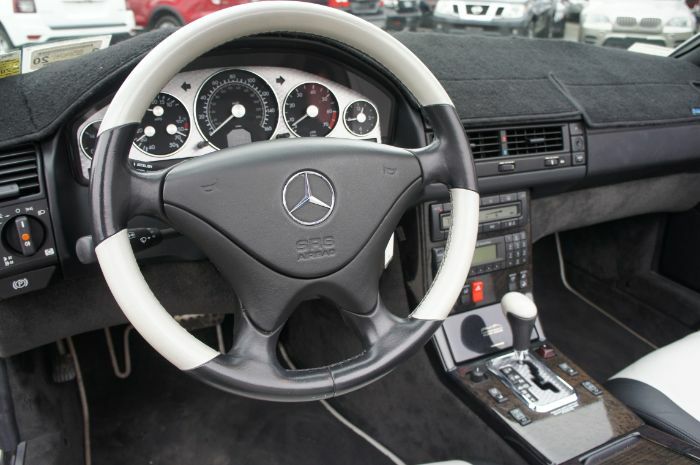 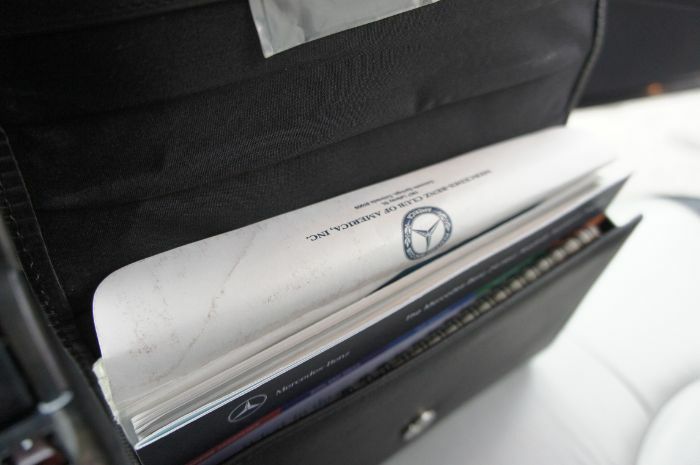 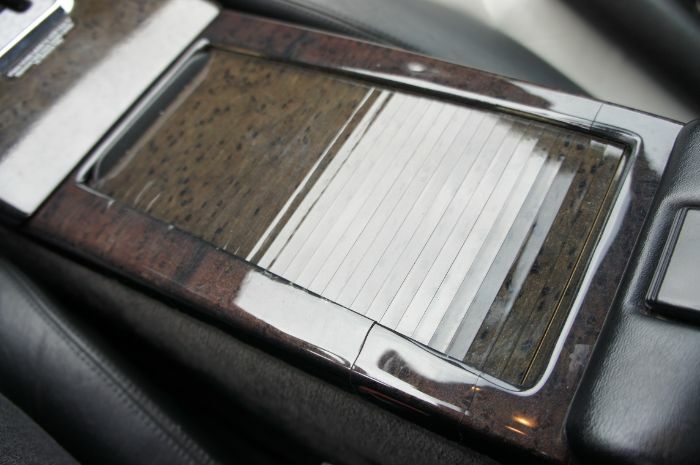 Silver Arrows were distinguished inside by two-tone Nappa leather seats and door panels, all showing light evidence of use here. 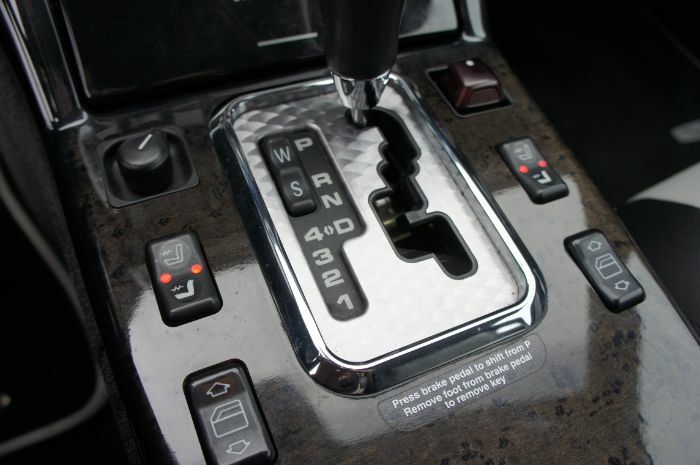 Polished walnut trim is set off by factory turned aluminum instrument cluster and shift gate panels. 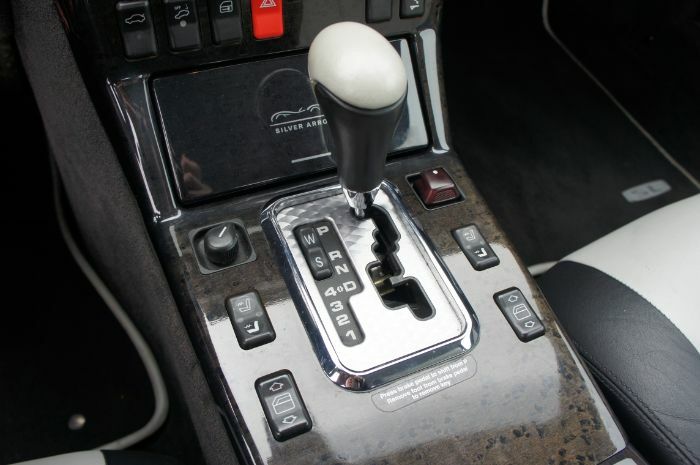 The 5.0-liter M113 V8 is paired with a 5-speed automatic transmission and produced 302 horsepower and 339 lb-ft of torque from the factory. 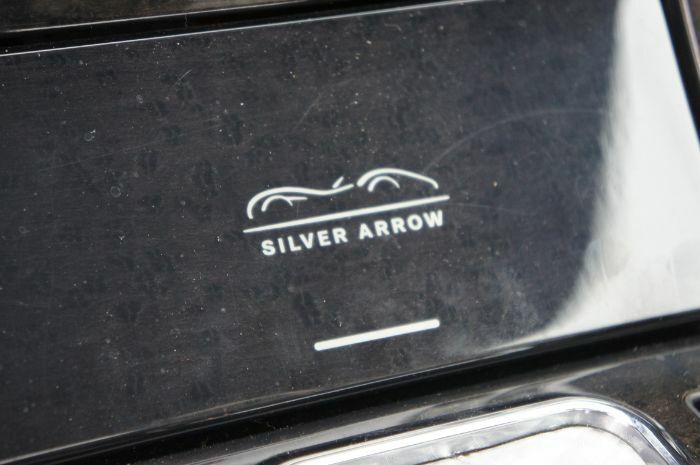 Silver Arrow models were fitted with factory cross-drilled disc brake rotors at all four corners. 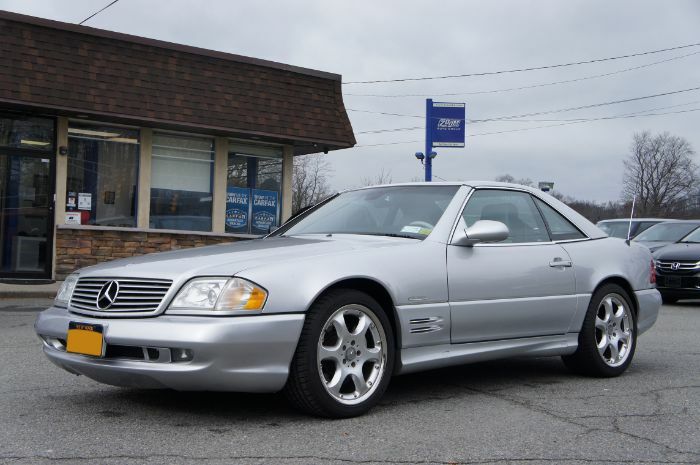 The SL500 Silver Arrow features ultra metallic paint, a fully lined black soft-top, a brushed-aluminum instrument cluster with chrome bezels, and aluminum trim on the wind deflector, shift gate, pedals, grille and trunk lid. 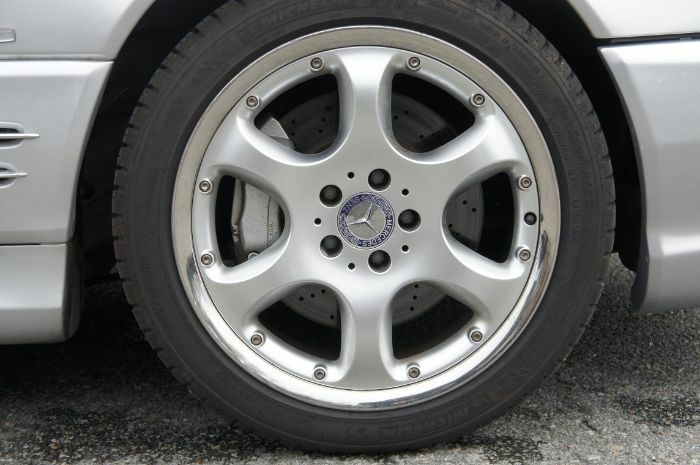 Two-piece allow wheels to hold 18 inch tire. 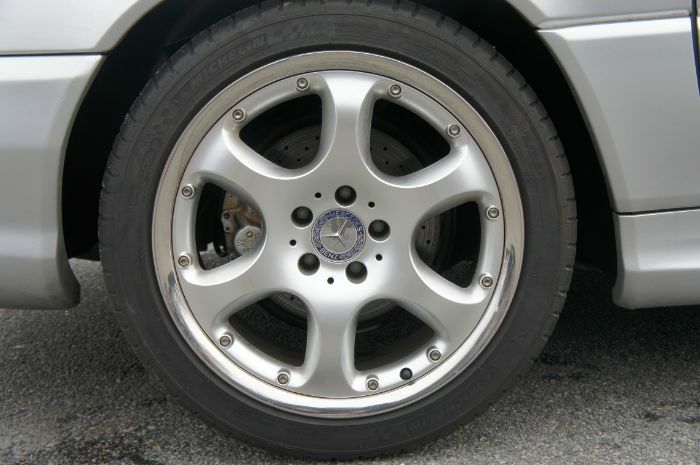 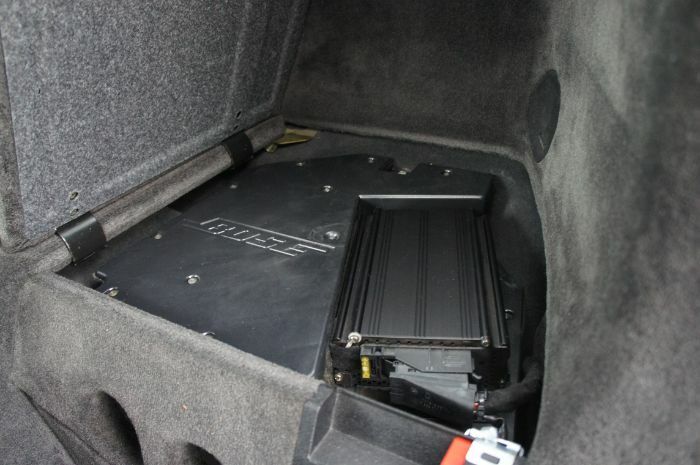 Xenon high intensity headlights, and a six CD changer installed, and brake rotors are factory drilled. 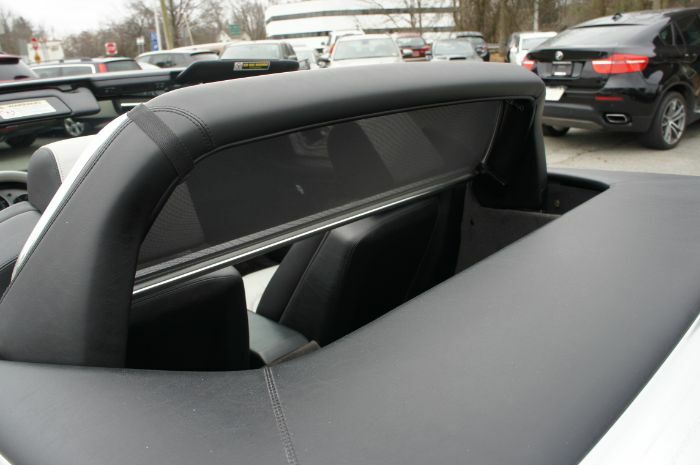 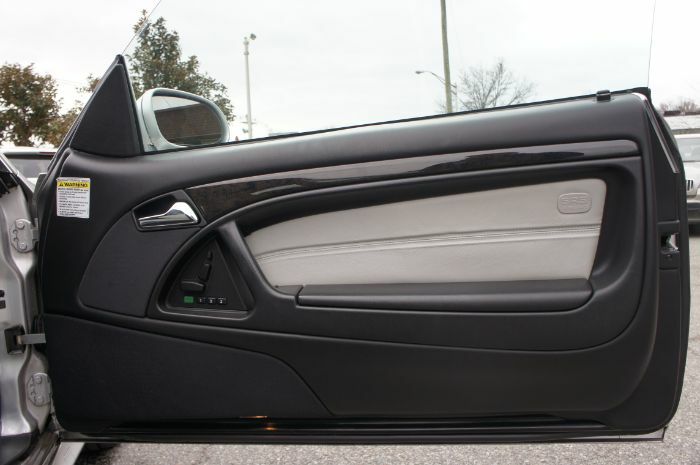 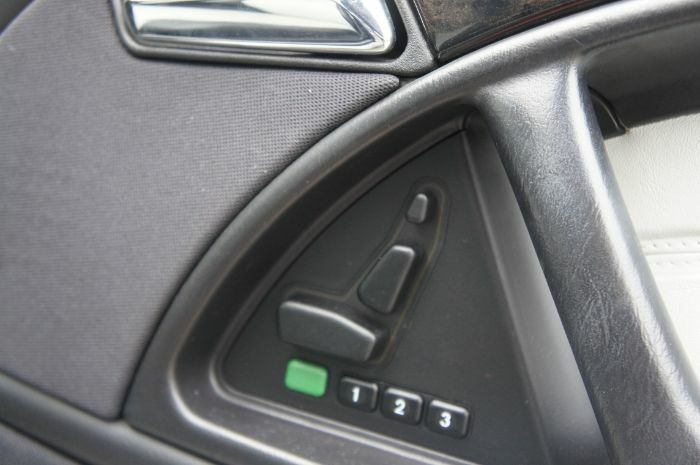 Roll bar behind the seats deploys when sensors detect an impending rollover or can be raised with the touch of a button. 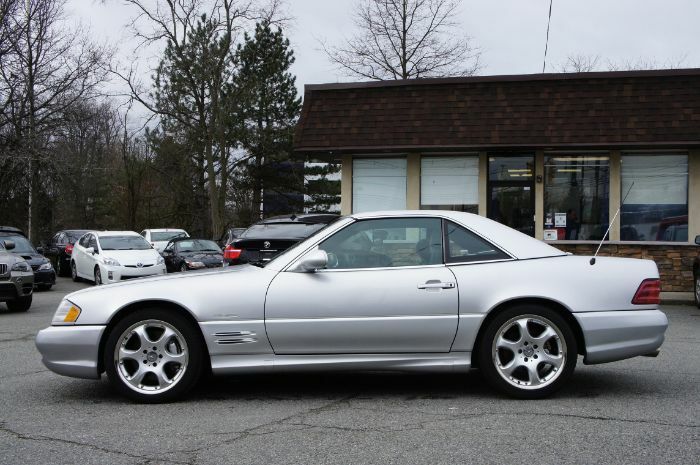 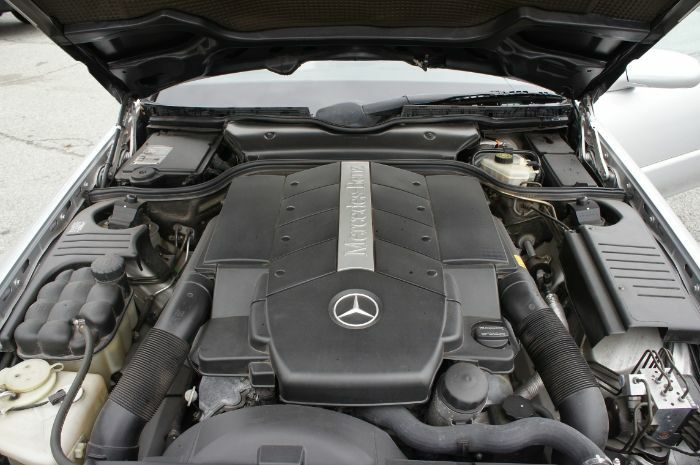 The SL500 has a 302 horsepower, 5.0 liter V-8 engine, with a five-speed-automatic. 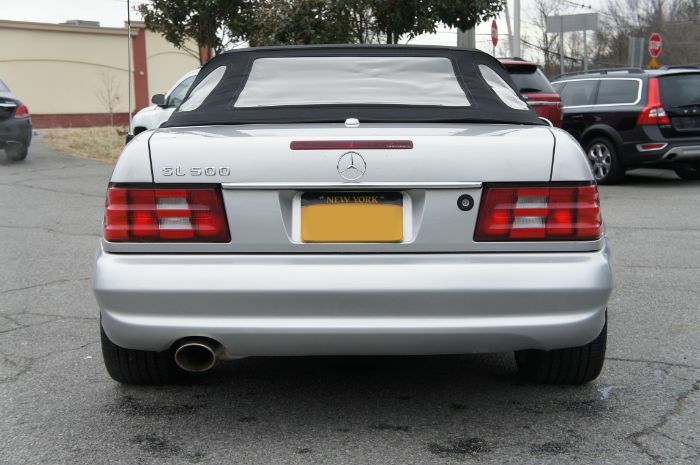 Hard top, with lighting. 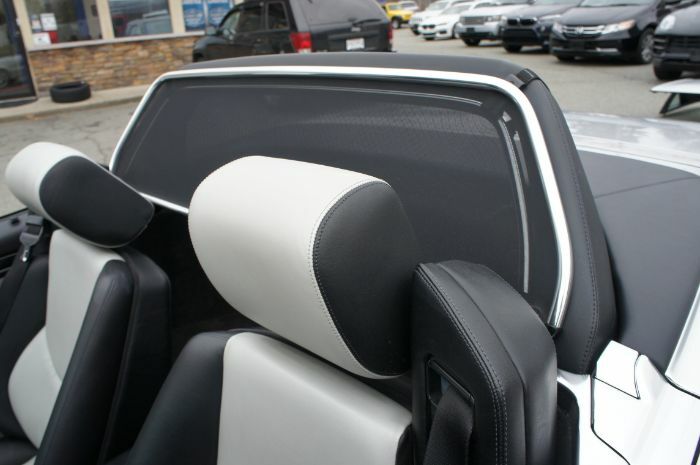 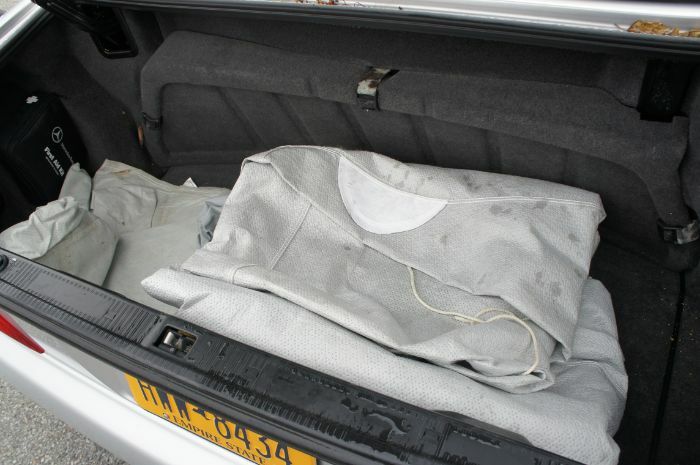 Carriage for hard top as well as cover. 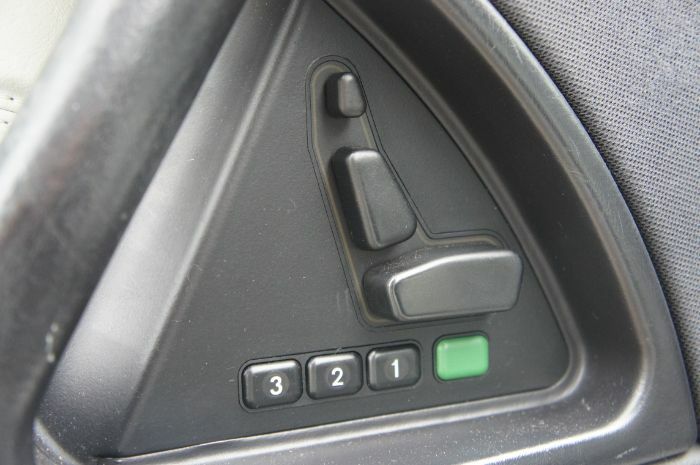 Single button on console lowers fabric top and folds back the top into storage. 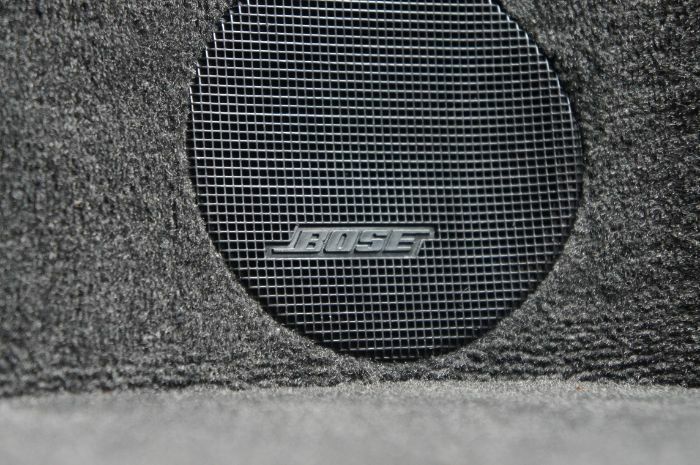 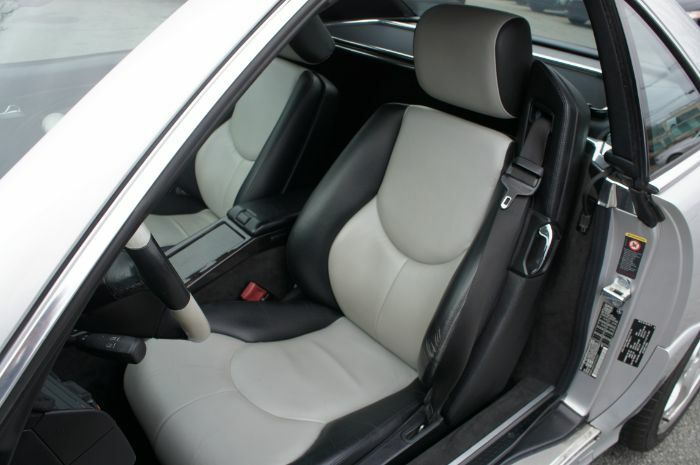 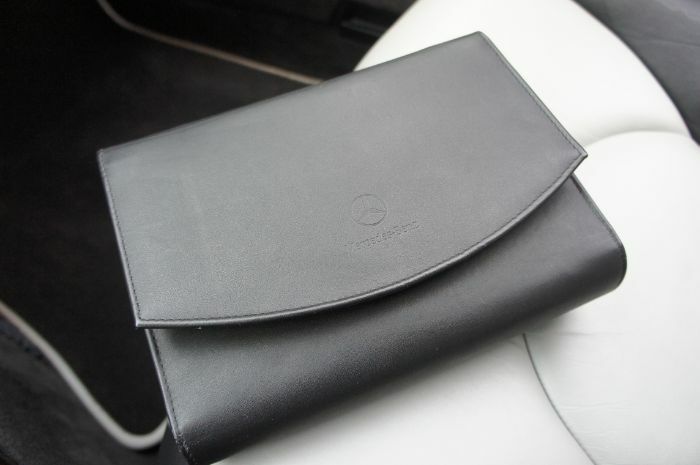 Both occupants luxuriate in Nappa leather bucket seats which are upgraded and heated. 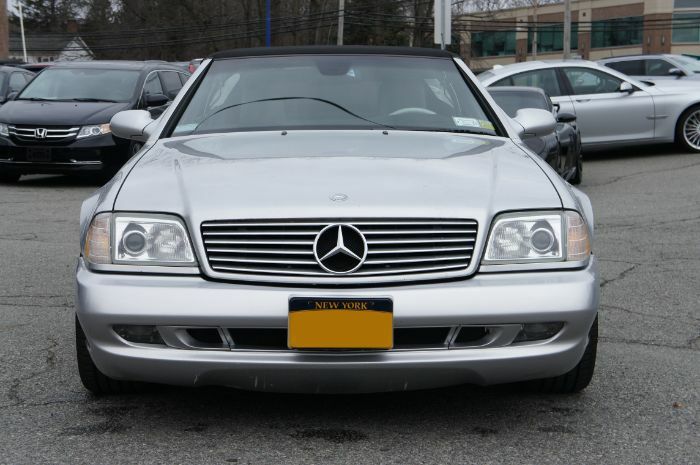 A/C, cruise, 10 way power seats, leather steering wheel, power tilt-telescoping wheel, power windows, door locks, remote key less entry, wind deflector. 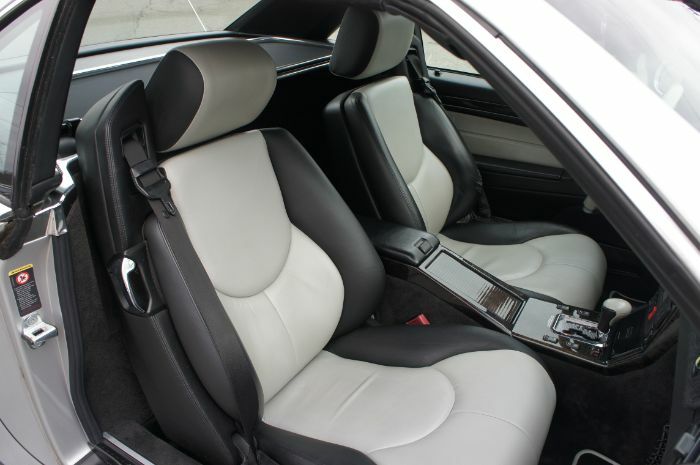 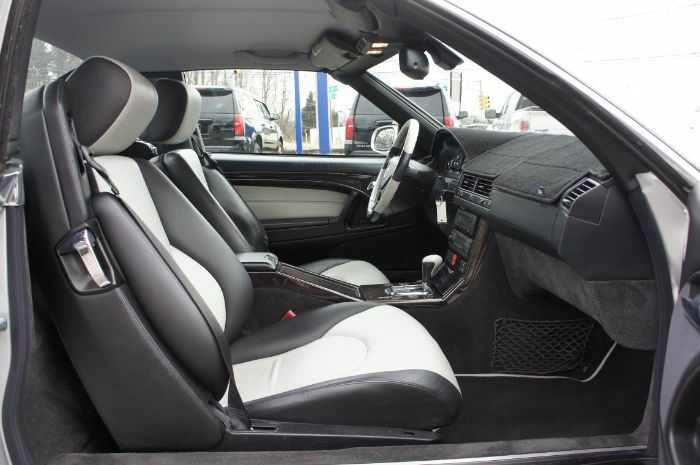 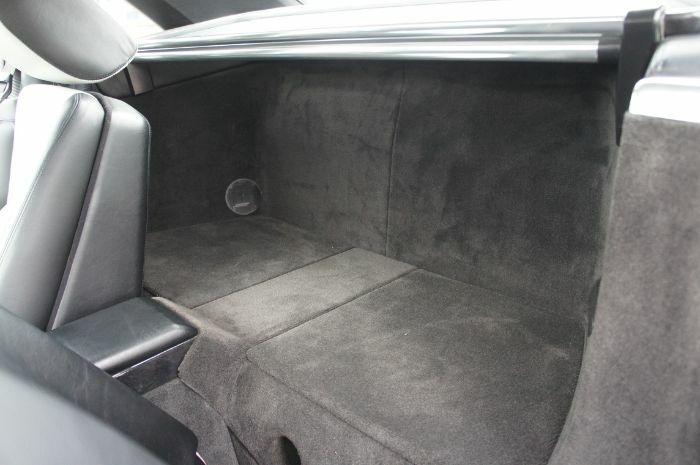 Black leather upholstery with silver perforations, multi contour seats. 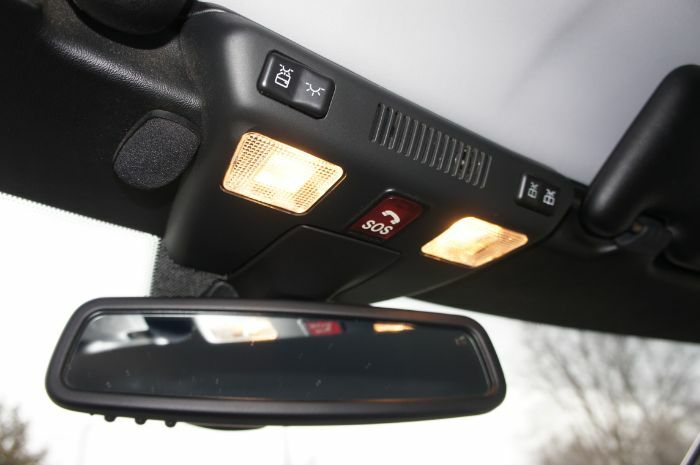 Tele Aid emergency communication incorporating vehicle diagnostics, remote door unlocking and alarm monitoring. 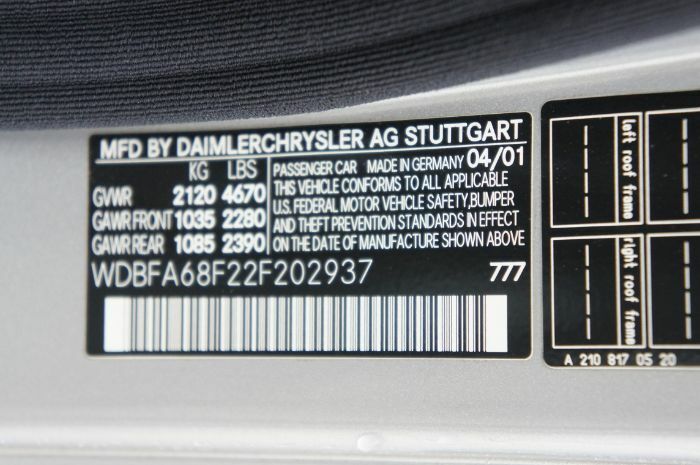 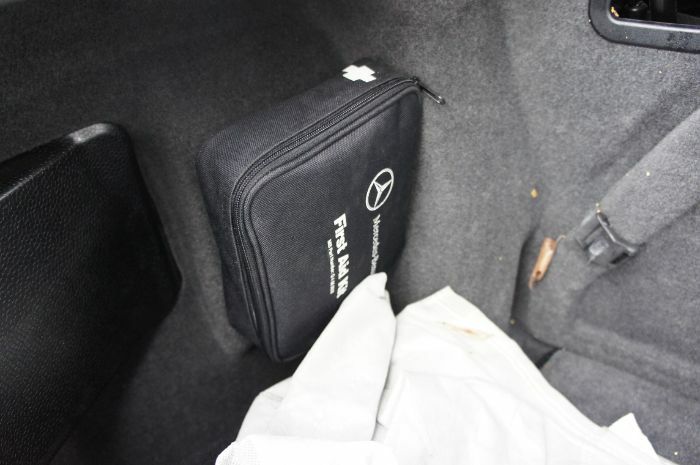 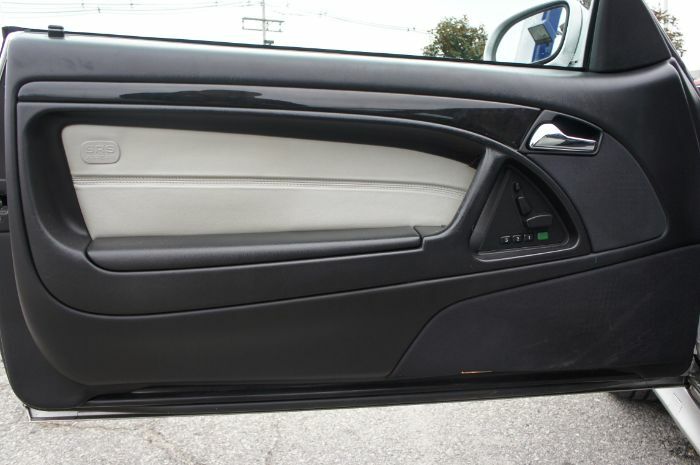 Door mounted side-impact airbags, antilock brakes, Electronic Stability Program, and Mercedes Benz's Brake Assist system.